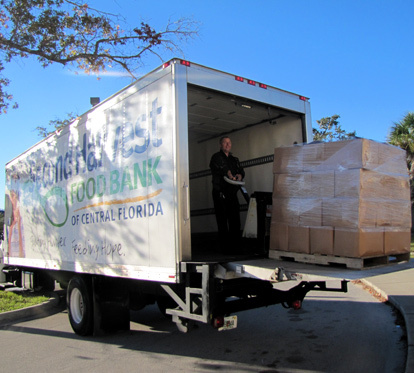 A Mobile Food Drop is a unique and effective approach to distributing food in underserved communities by providing fresh produce and other nutritious food directly to feeding programs in Central Florida. Second Harvest’s mobile food drop program has grown considerably and is now active in all 6 of our counties. With each delivery, Second Harvest transports between 10,000-20,000 pounds of fruit, vegetables, and dry goods directly to the communities where low-income individuals reside. In fiscal year 2017/2018, Second Harvest distributed over 5 million meals through this program and averaged six Mobile Food Drops per week.